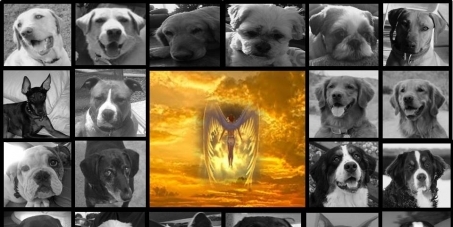 Maricopa County Attorney Bill Montgomery, Phoenix, Arizona: THE VOICE FOR THE VOICELESS: Justice for "THE GILBERT 23"
This petition has been created by DIANA S. and may not represent the views of the Avaaz community. PAWS FOR LOVE: JUSTICE FOR "THE GILBERT 23"
Between the dates of: June 18, 2014 and June 21, 2014. Jesse Todd Hughes, Melesia Maurine Hughes, Logan Laine Flake and Austin Lane Flake (son of Senator Jeff Flake), knowingly placed 28 dogs in a locked 9’ x 12’ room on the premises of Green Acres Boarding Facility. During this time, the dogs were not provided adequate shelter, water and care giving; causing cruel abuse & neglect which lead to death, lies and cover up. 22 dogs died, 5 survived, and 1 escaped the property. The dog that escaped the property was later found deceased. Necropsy of the available animals revealed lack of food in stomach and intestines, and discovery of full unopened bags of dog food would indicate long suffering, as would text messages over 4.5 hours as Sonny lay critically ill and no veterinarian was summoned. On September 9, 2014, Sheriff Joe Arpaio’s investigation was turned over to the County Attorney, Bill Montgomery. In October 2014, The Maricopa County grand jury handed down an indictment charging Green Acre Boarding Kennel owners Jesse Todd Hughes and Maleisa Maurine Hughes and caretakers Austin Lane Flake and Logan Flake with multiple felony and misdemeanor counts of cruelty to animals. The indictment charged Jesse and Maleisa Hughes with 22 felony counts and 7 misdemeanor counts of cruelty to animals, and 1 felony count of fraudulent schemes and artifices. Austin and Logan Flake were each charged with 21 felony counts and 7 misdemeanor counts of cruelty to animals. All four pleaded not guilty at separate hearings. On December 22, 2014, all animal cruelty charges have been dropped against the four defendants from the Green Acre boarding facility. Prosecutors have moved to dismiss without prejudice the animal cruelty counts, but are leaving 1 fraud count against kennel owners Jesse and Maleisa Hughes. Be the VOICE for the VOICELESS; we encourage you to sign this petition to bring Justice to the Gilbert 23 and their families. We the undersigned call on County Attorney Bill Montgomery of Maricopa County, Phoenix, Arizona, to re-examine the evidence in the case of THE GILBERT 23, charge and vigorously prosecute the people responsible for their deaths.